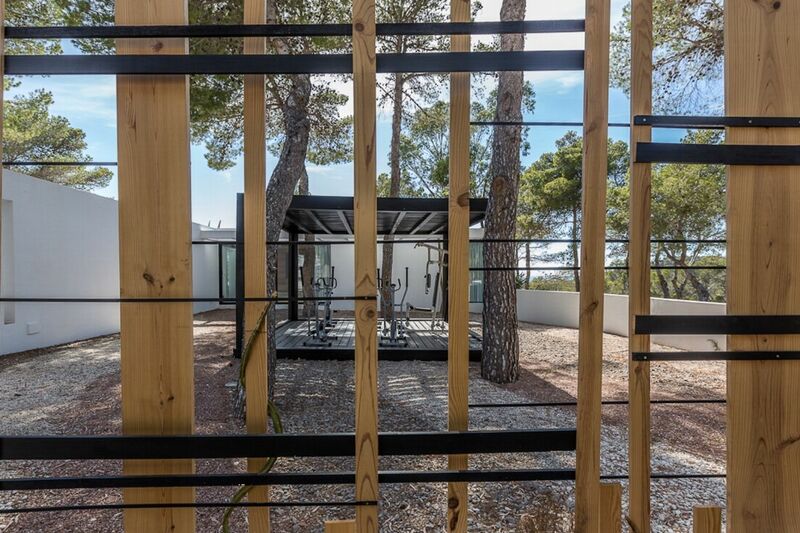 3 hours, 3 times per week. 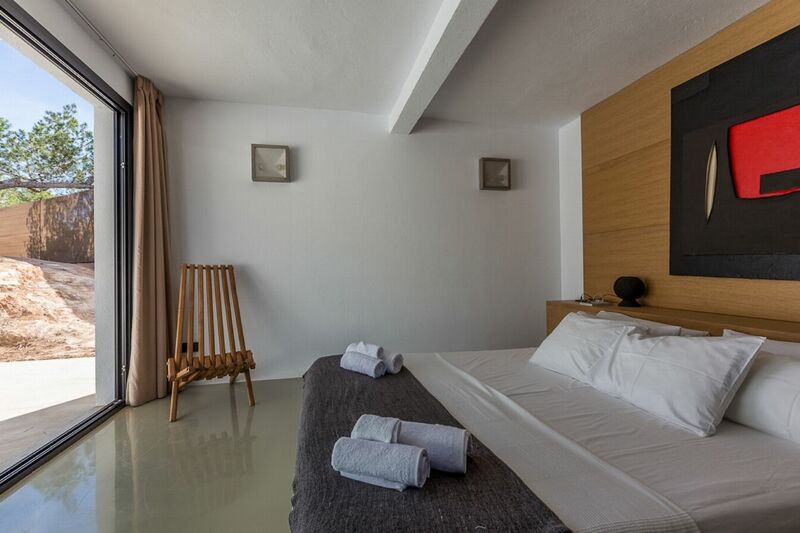 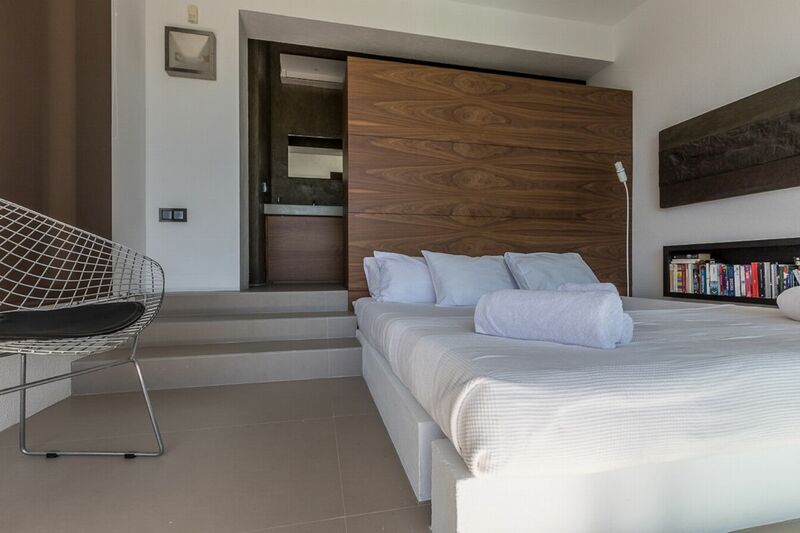 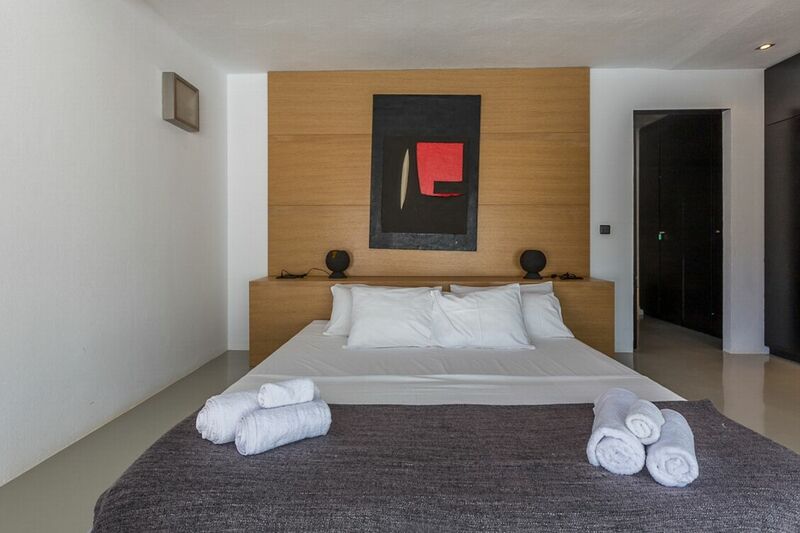 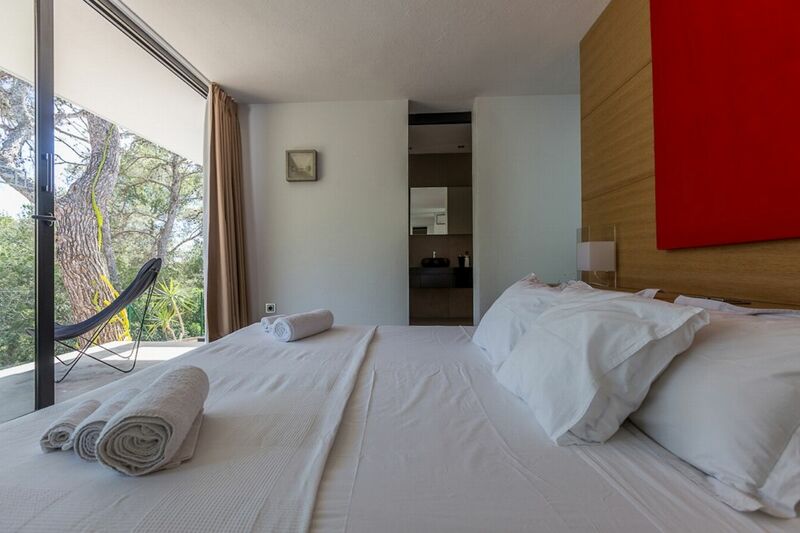 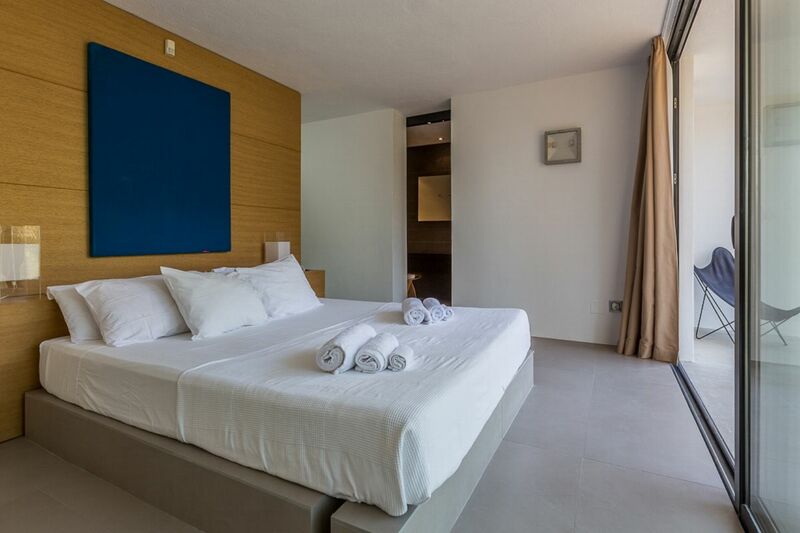 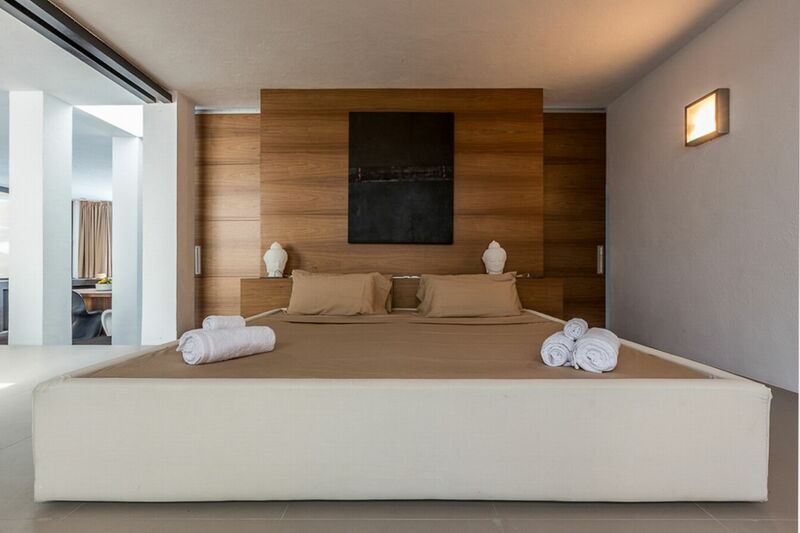 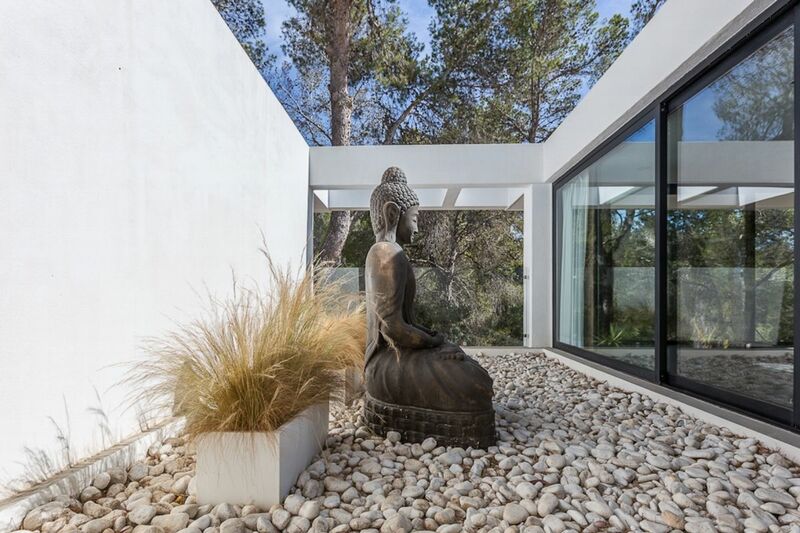 Modern minimalism in perfect harmony with the tranquility of the Ibiza countryside. 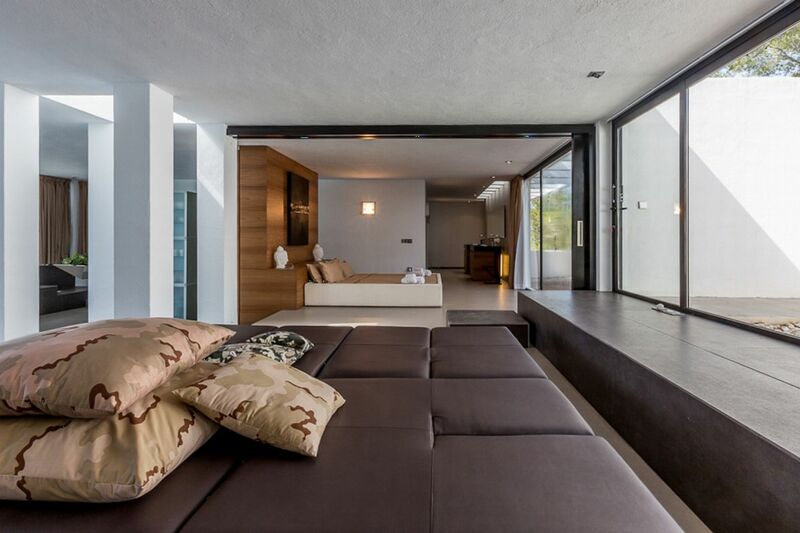 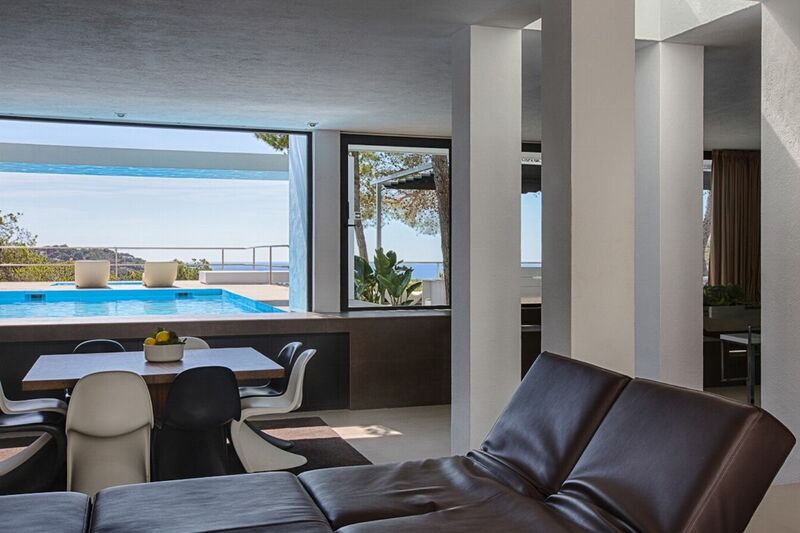 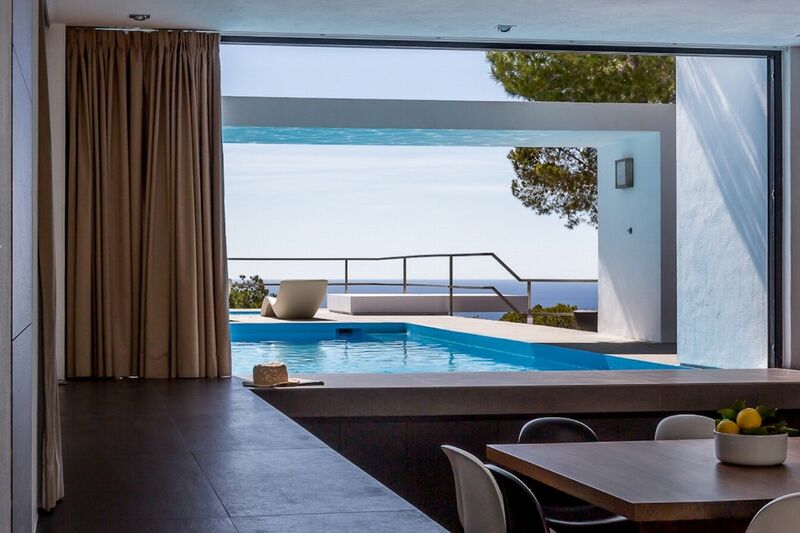 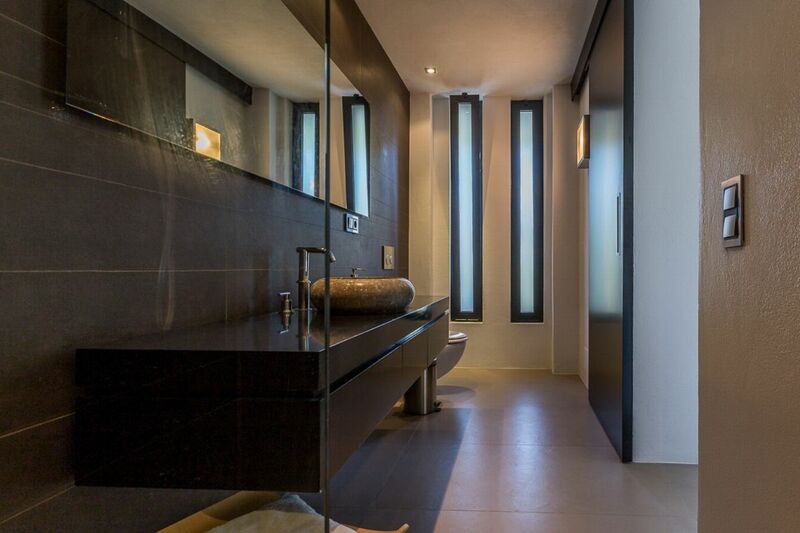 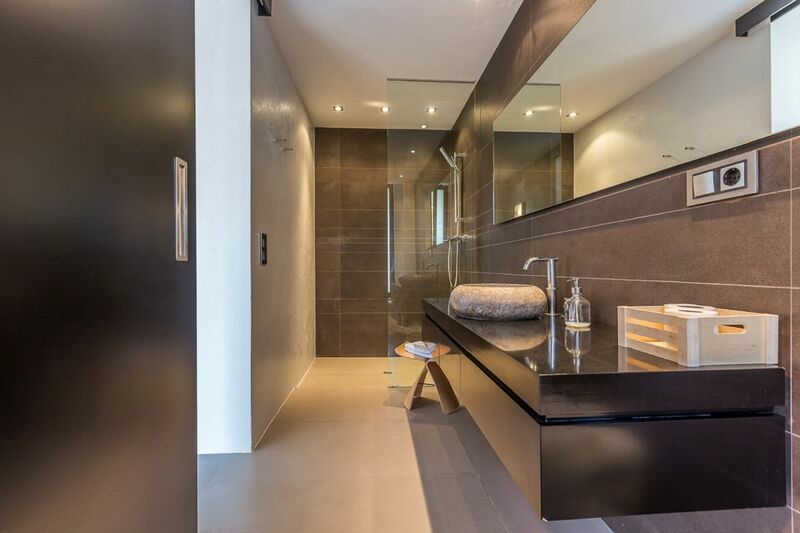 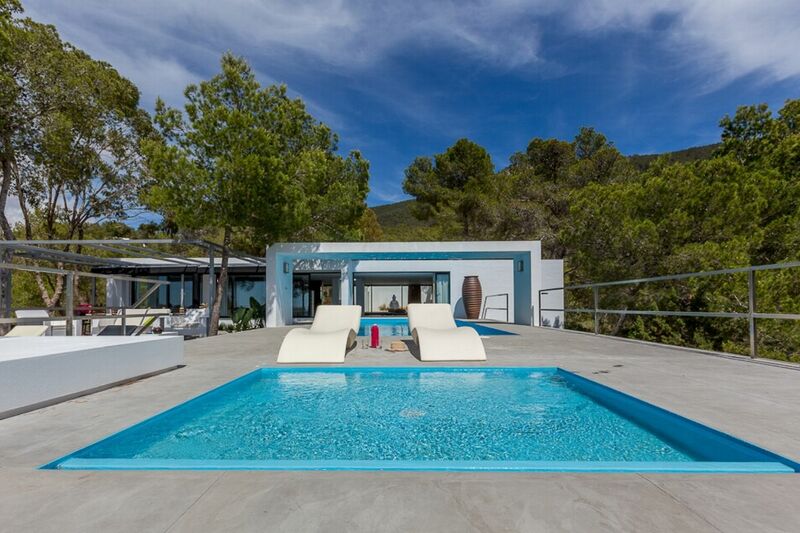 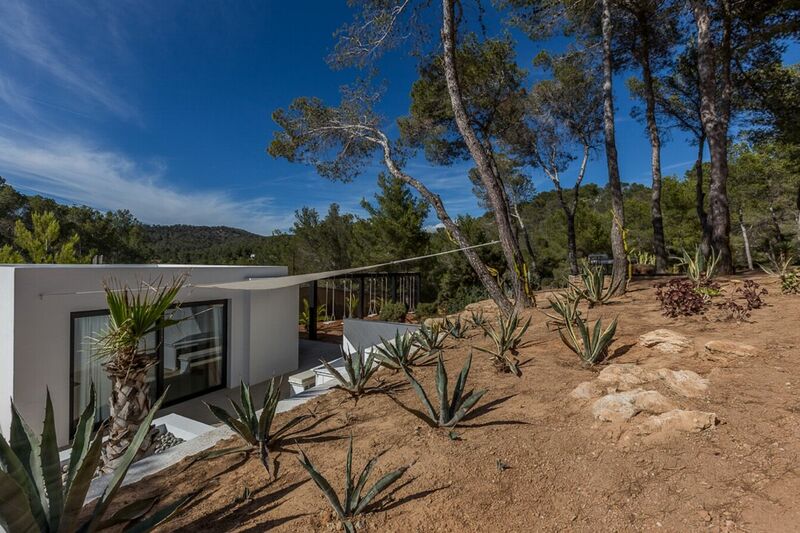 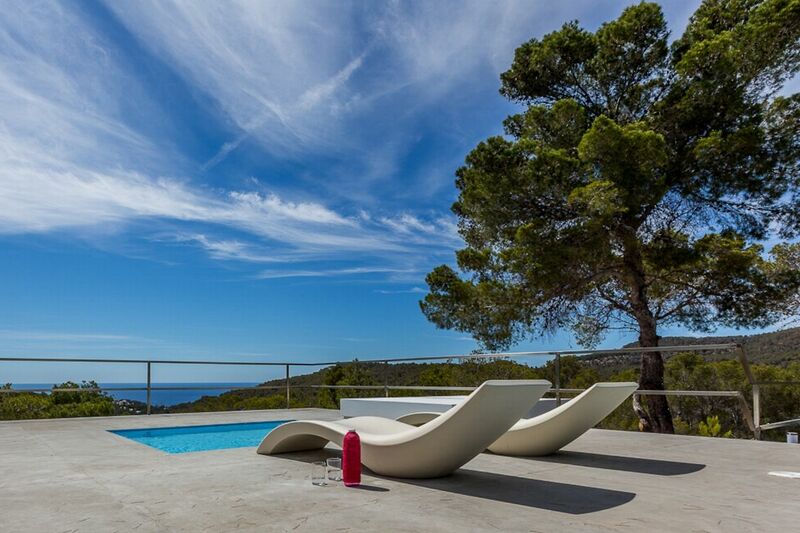 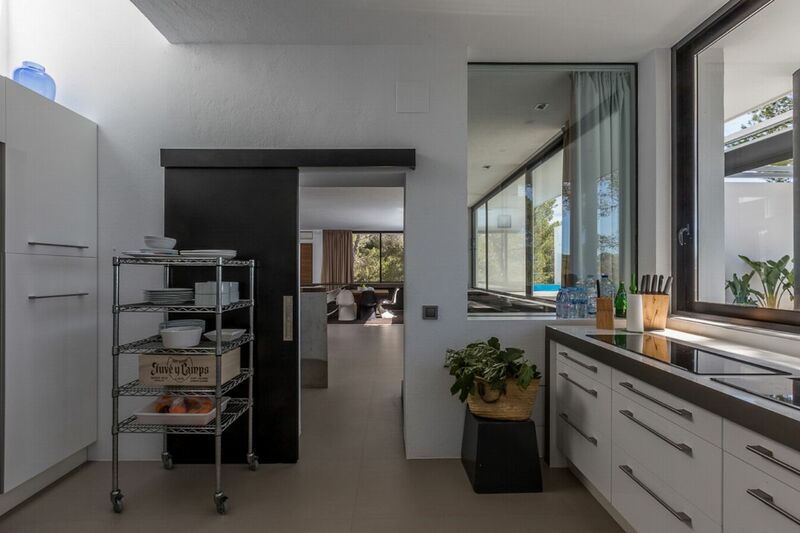 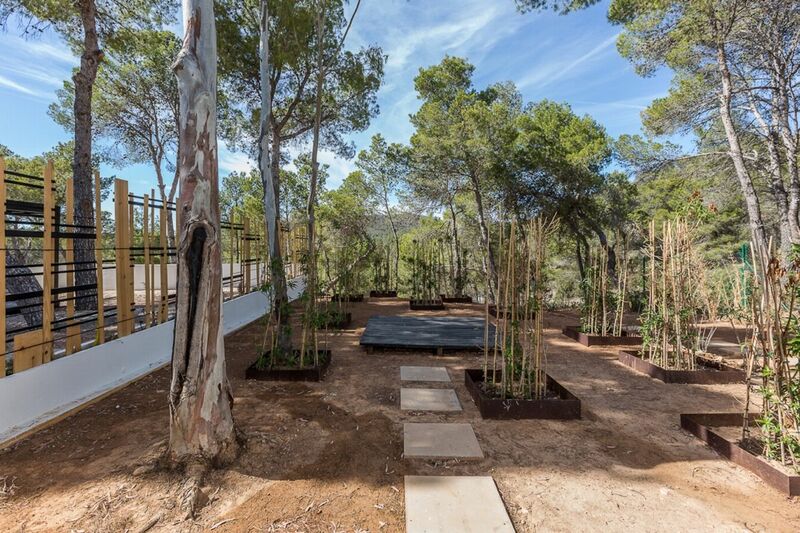 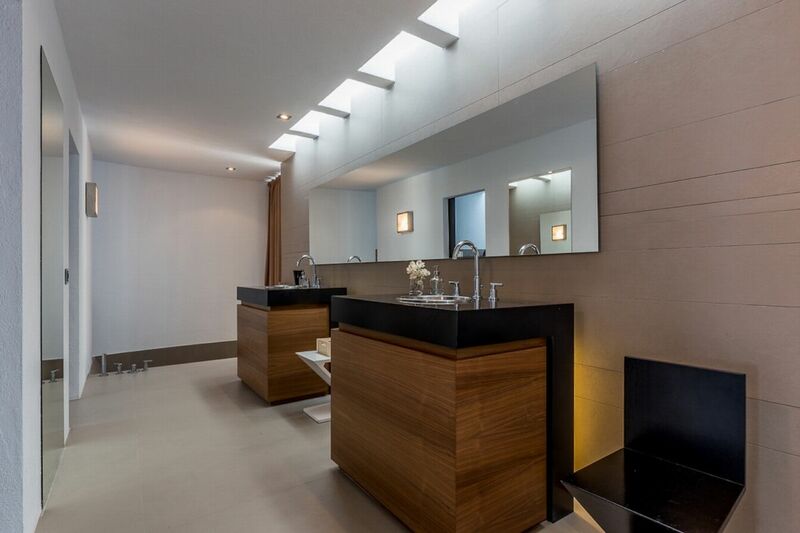 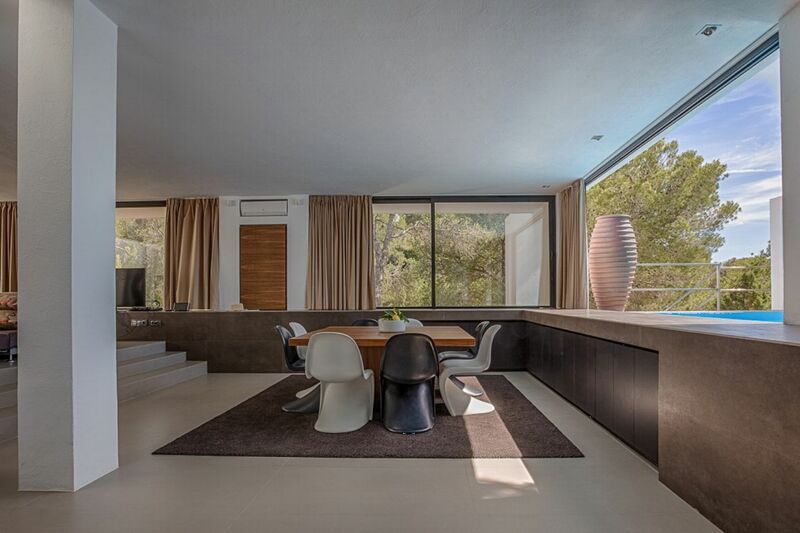 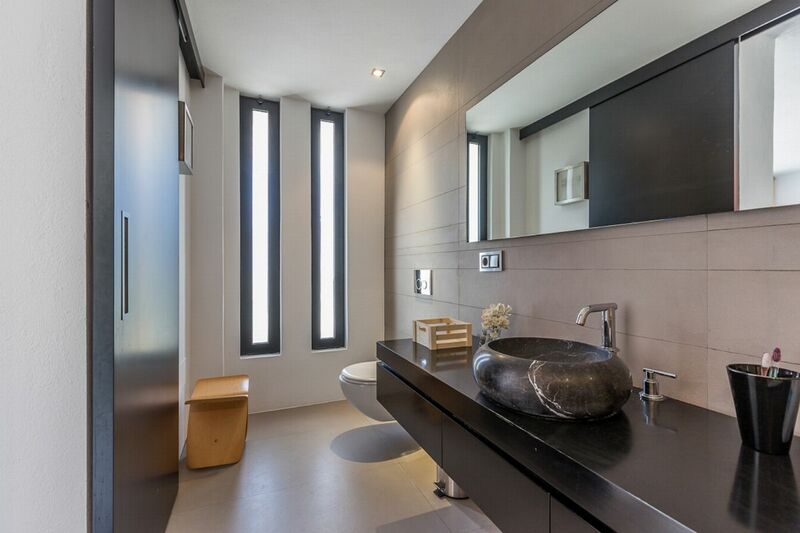 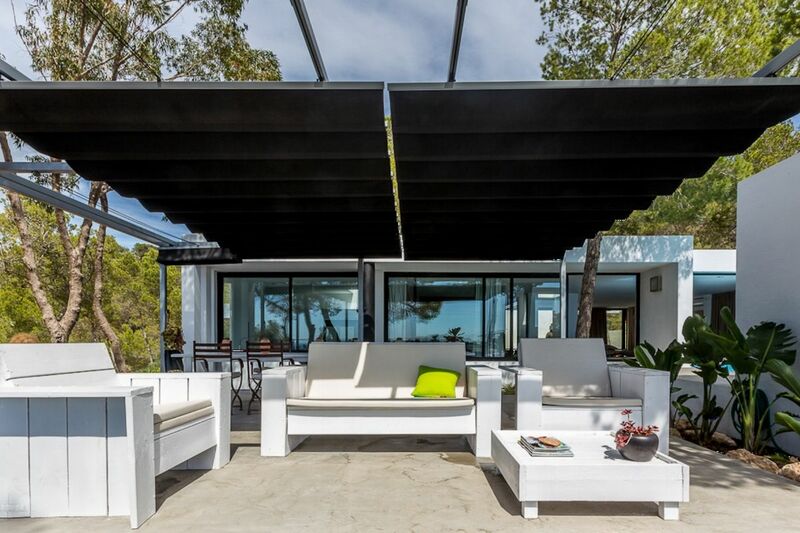 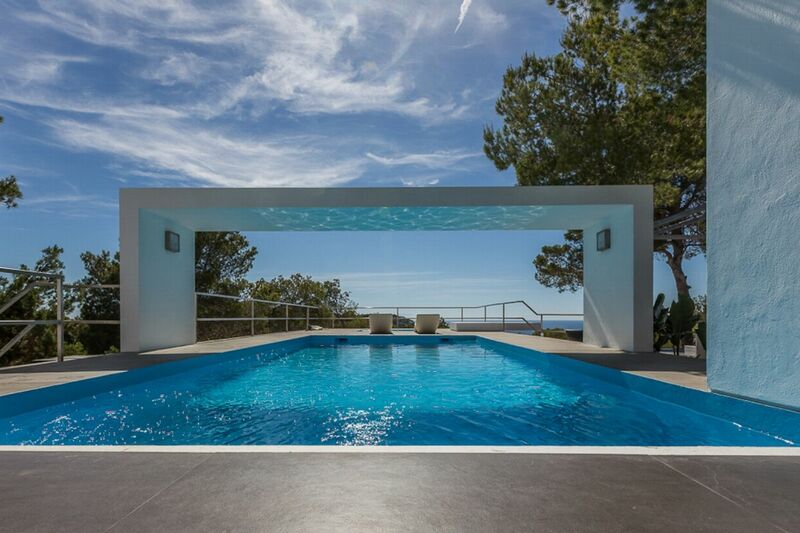 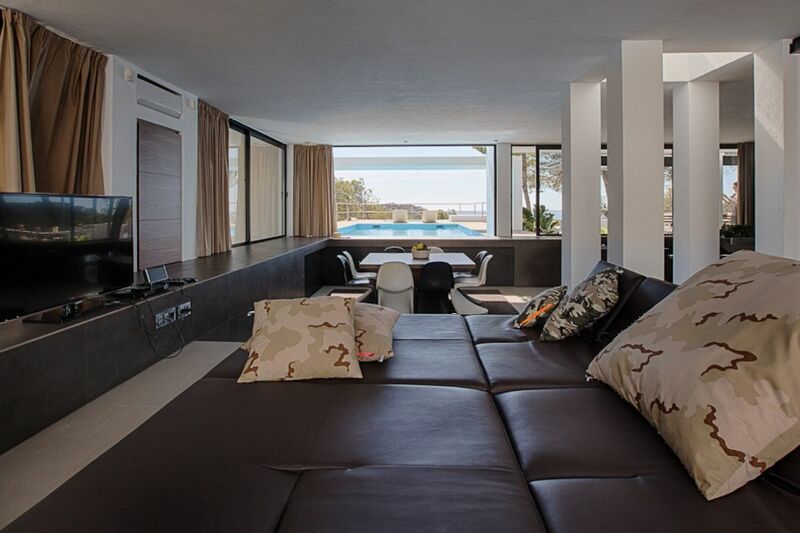 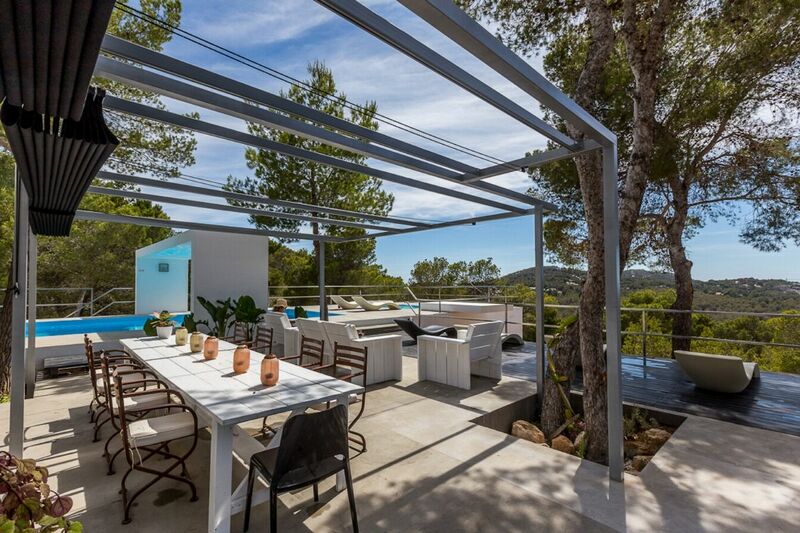 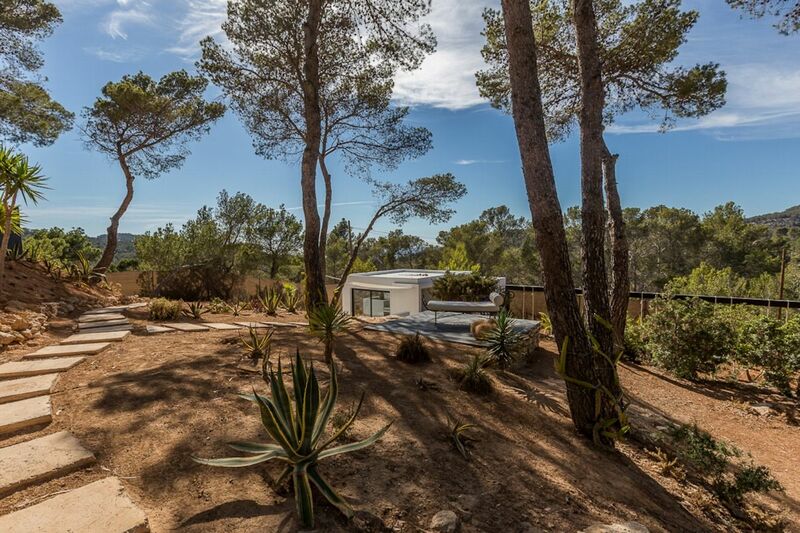 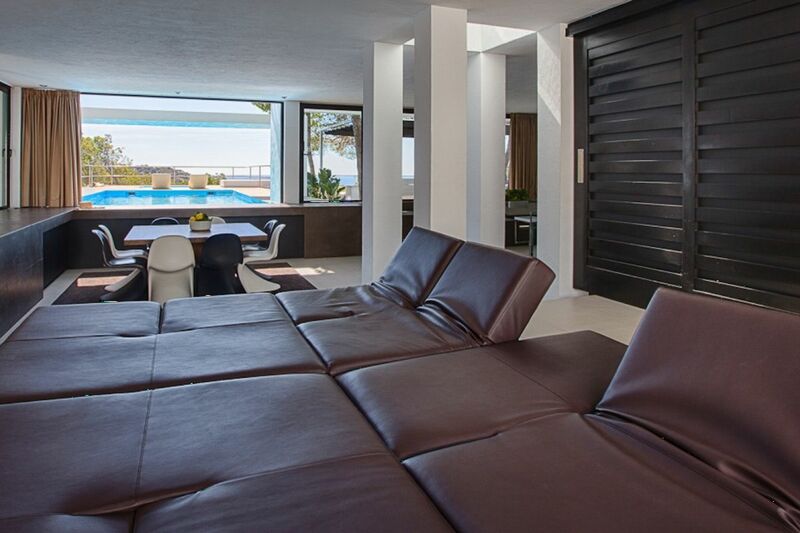 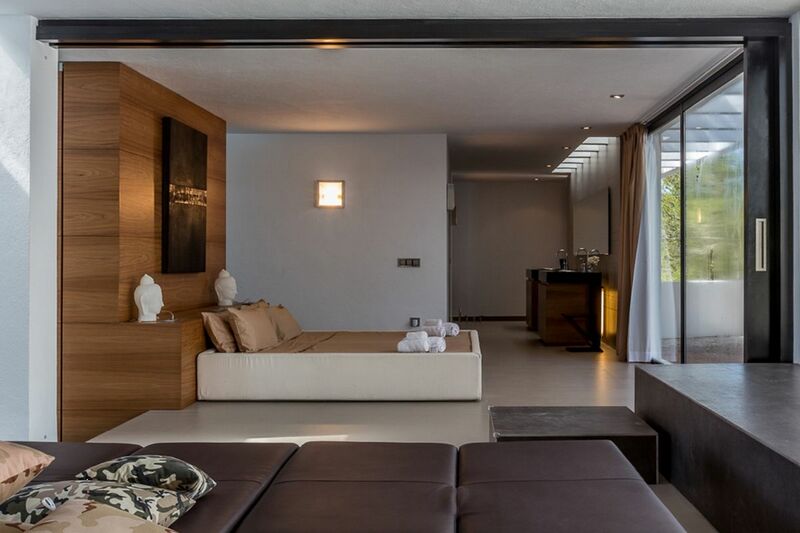 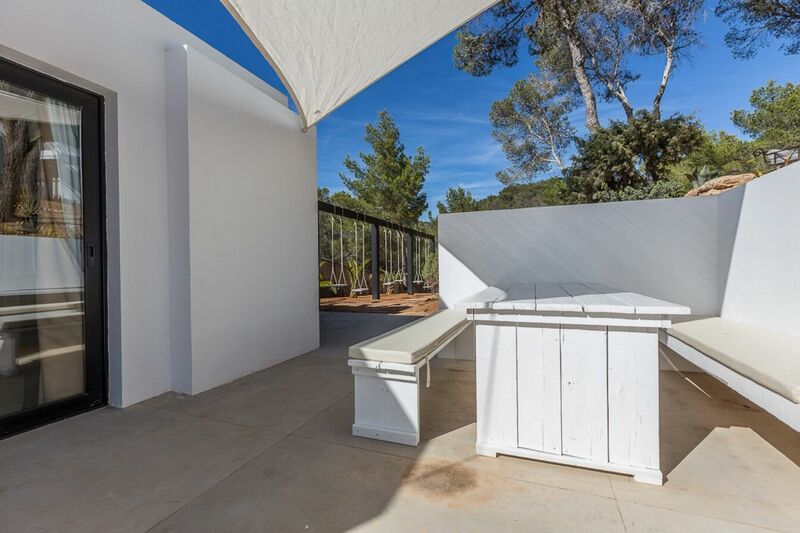 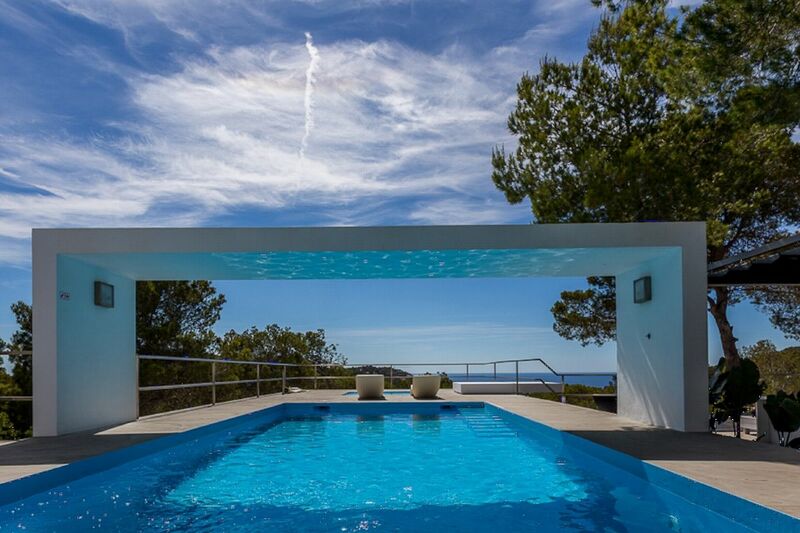 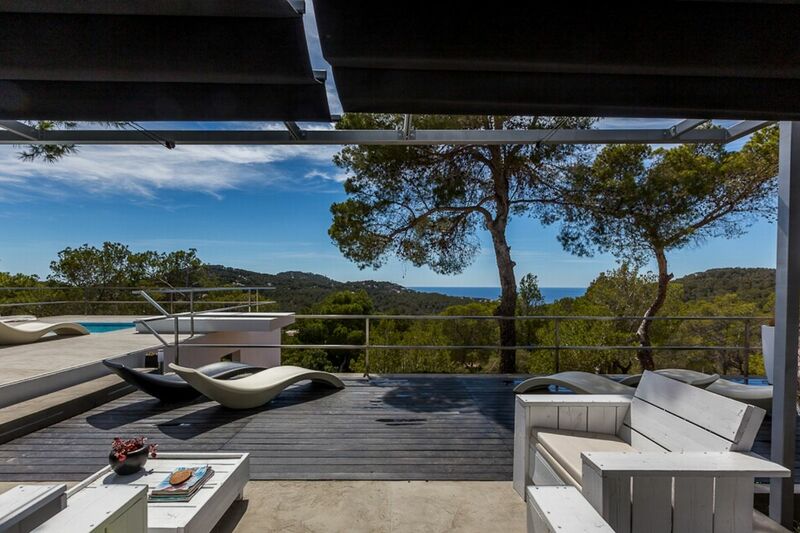 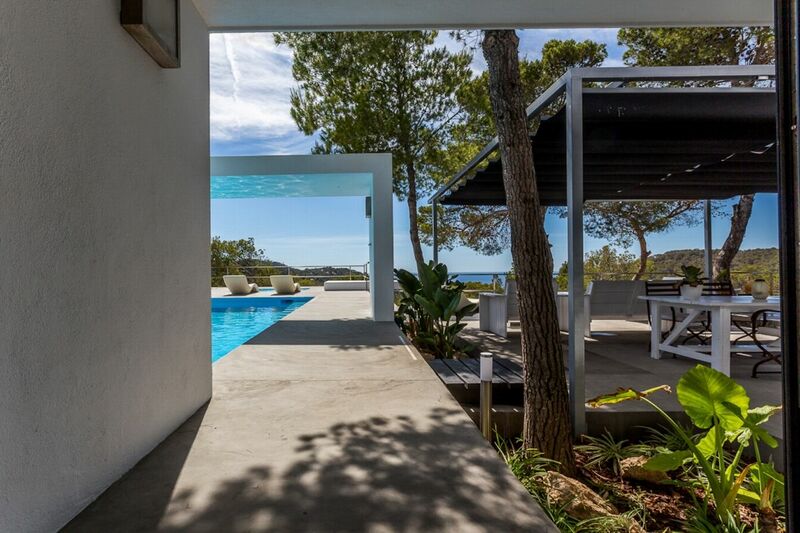 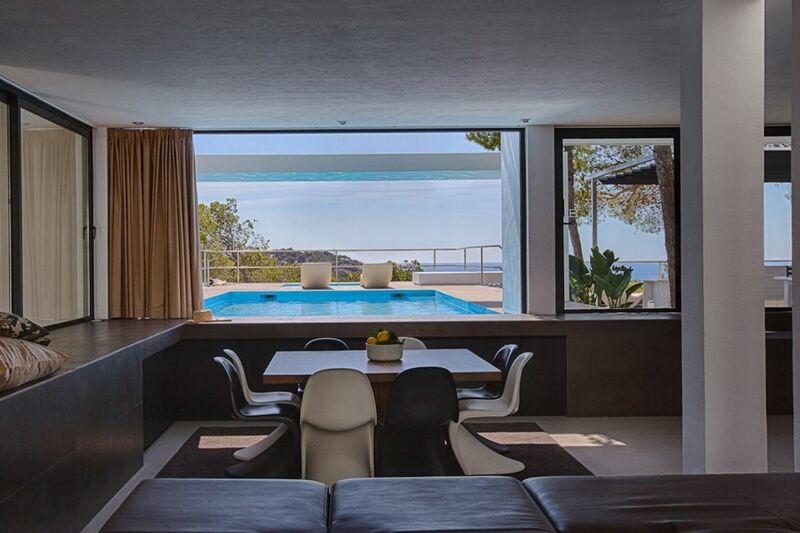 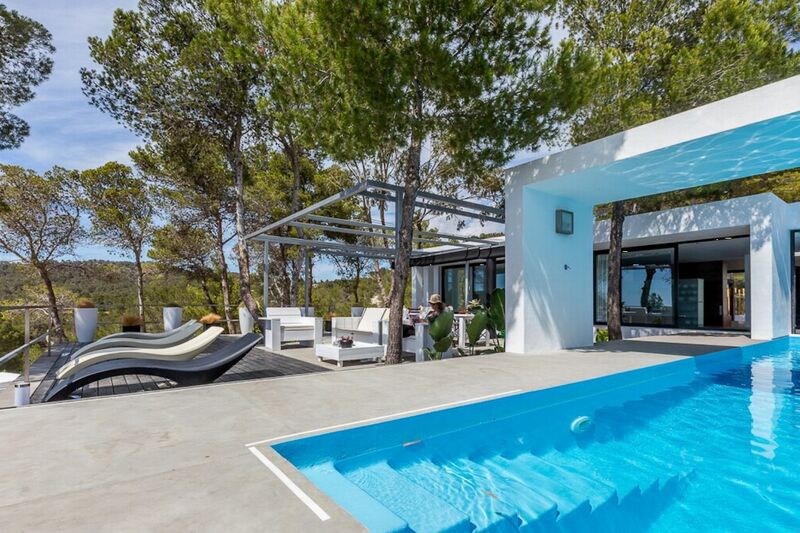 This amazing villa puts modern minimalism in perfect harmony with the tranquility of the Ibiza countryside. 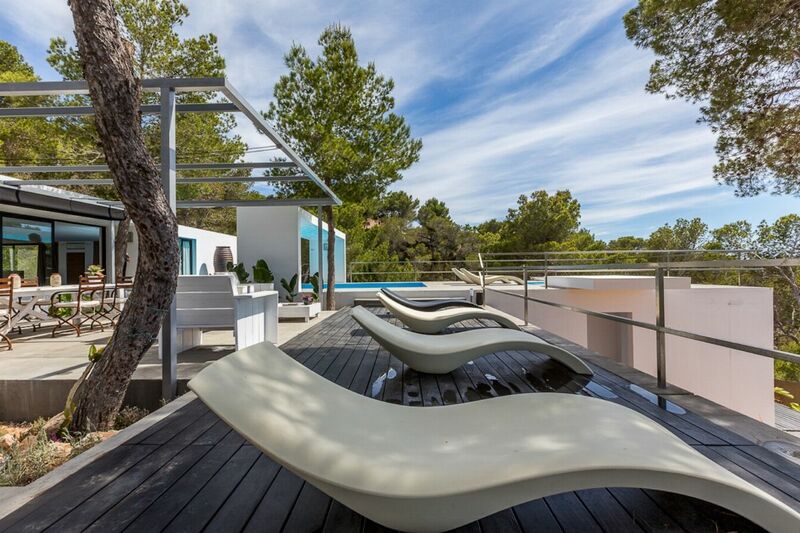 Boasting sea views from all areas of this villa and it's peaceful relaxing location make for the perfect holiday destination. 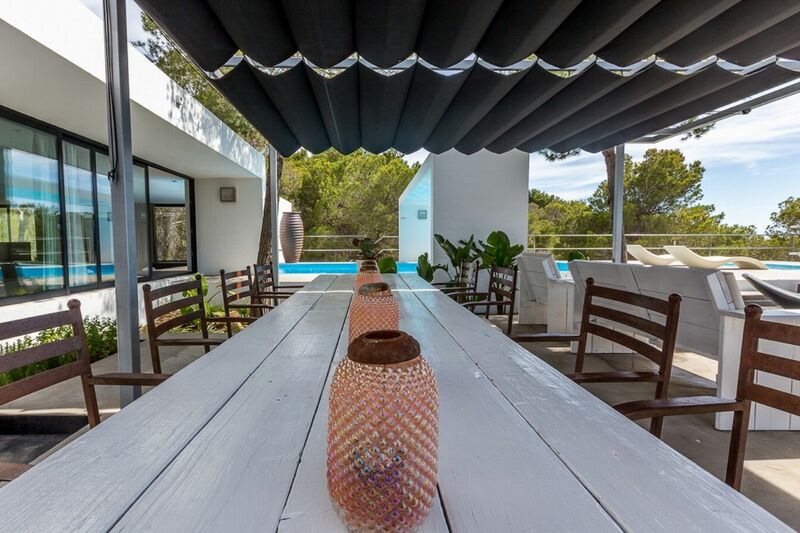 The open plan kitchen and living area lead invitingly out to the 6x9 metre swimming pool and the large outdoor lounge area has views to, Es Vedra, Formentera and beyond. 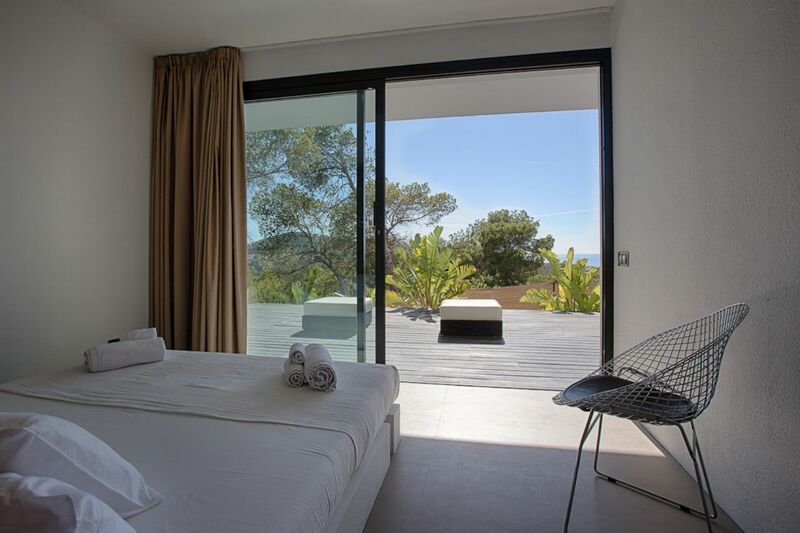 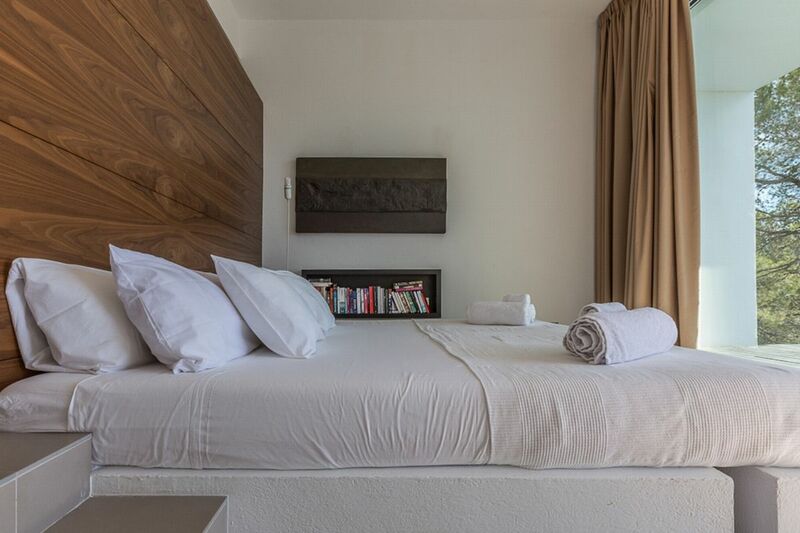 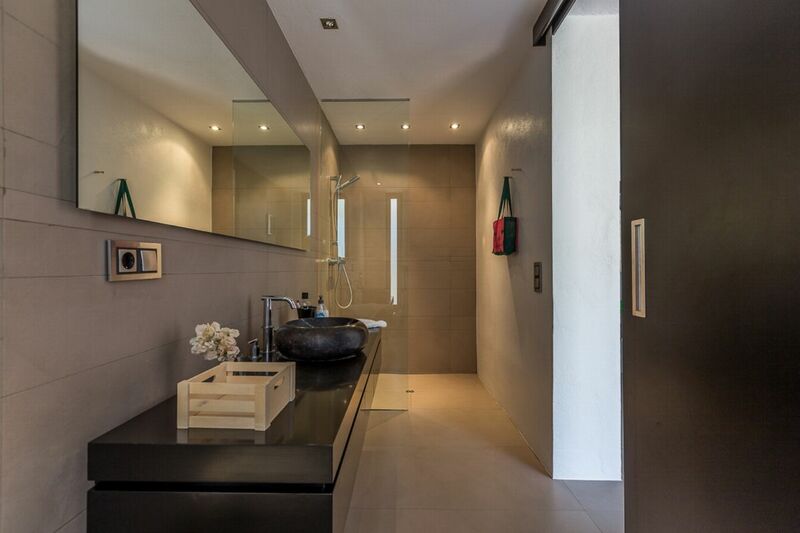 Double bed and en-suite bathroom with shower and additional bath. 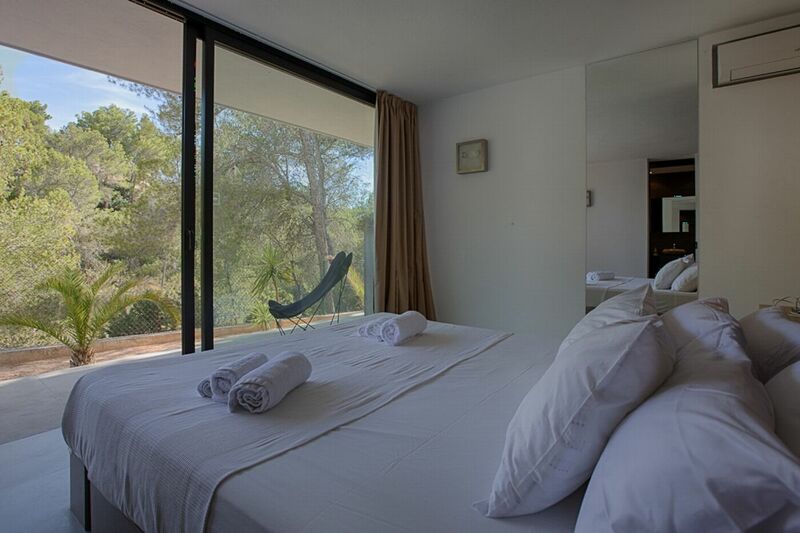 Double bed and en-suite bathroom with shower.